For a long time Si has been suggesting us to visit Feroz Shah Kotla Mosque for a rendezvous with the city’s jinns. Si and Sa sent out an email regarding this and the mail said “Carry Sheets of paper to write your Arzi”. Some of us struggling with writing, in search of a job, or in the finishing line of thesis submission took this task seriously and geared up for a rendezvous with city’s jinns with our arzis. “The majority of Muslims believe jinn to be a species of spiritual beings created by God out of smokeless fire long before he created humans out of mud and to whom he gave the earth to inhabit. They are drawn to both good and evil. In this regard they are different from angels who were created out of pure light and are incapable of evil and are, therefore, given the heavens to inhabit” . (Hughes n.d.; entry under Djinn in Encyclopedia of Islam 2003 in N. Khan. 2006. “Of Children and Jinn: An Inquiry into an Unexpected Friendship during Uncertain Times”. Cultural Anthropology 21(2): 234-264. The city’s jinns are invoked, and called upon to help people across faiths on thursday (after 2pm) in Feroz Shah Kotla . Emperor Firoz Shah Tughlaq built this citadel in the fifth city- Firozabad in 1354. Jinns are believed to reside in the ruins of this fort and. Every thursday thousands of people gather in the city’s ruins to offer their prayers. As you enter Feroz Shah Kotla you will be greeted with people selling incense sticks, candles, sugar candies, flowers, etc to offer to the jinns. 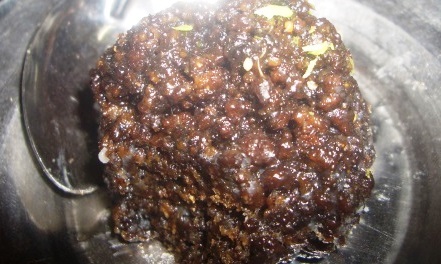 The city’s jinns love sweets so people carry sweets and offer and distribute jalebis as well. What was most interesting are the letters or arzis people write and paste it on walls. This practice as one of the bloggers reveal is not that old. It came into practice in 1970 with a “fakir named Laddoo Shah came and started living in these ruins at the end of the Emergency of 1975-77, a year after the demolitions at the nearby Turkman Gate locality, which had once been part of Firozabad” 1. Every nook and corners of the ruins and particularly cave like structures are filled with the smoke of incense stick, candle light and letters written to city’s jinns. Unlike other days, a Thursday visit to these ruins is recommended as the jinns bring back this 14th C place back to life with people fighting over food being distributed, an absolute stranger sharing a jalebi with one of our friends and handis of biryani being distributed. Jamie Masjid, Baoli and the cave like structures along the staircase to the Ashokan Pillar that was brought to this place along with the structure in Northern Ridge area are taken over by people offering their prayers. Several dos and don’ts apply. After the afternoon walk you will feel hungry so get an auto/ bus to take you to Old Delhi and this time Sa had promised to take us to an Afghan eating joint in Ballimaran. As we made our way through the by-lanes of Chawri Bazaar, and made our way to Ballimaran we were tired. We were a group of 11 souls, so we got into two e-rickshaws for our trek to this Afghan food joint. Some of us reached a little early and I vaguely recalled Rahul Verma’s article on this Afghani place. And to my relief I was not wrong. He did write about this place!2 Though prices have increased from what he mentions in the article we did miss out on a spinach dish he had recommended. This place tucked away in the maze of staircases and series of workshops ranging from embroidery to laces and even jewellery was a pleasant surprise. The place is a regular for Afghan traders and when we entered it was empty except the man behind the cash counter and a waiter whom we bothered a lot! It is indeed difficult to deal with 11 hungry souls. Sa in anticipation of our appetite had ordered a plat of mutton and chicken kebabs. The mutton kebabs were excellent as it not coated in spices and yet tenderly cooked. We ordered some rotis to enjoy with our kebabs. The Chicken kebabs coated in some red spice were a let-down. It was time to take a brief tour of the Menu and there was Mantoo peeping from the list of the delicacies. When we asked the waiter he suggested we try it because “ it is different from what you get in the market”. And indeed I fell in love with Mantu. It does not take much of a coaxing when it comes to ordering a plate of dumplings and each region across Asia has their own version of dumplings. Afghan Manto/ Mantu “dates back to the time of Turkic and Mongol horsemen of Central Asia. It is believed that the horseman carried frozen mantu during the cold winters while traveling long distances and boiled them over camp fires for supper”3. Mantu is the perfect example of how foods acquire new names when it comes into contact with new culture. 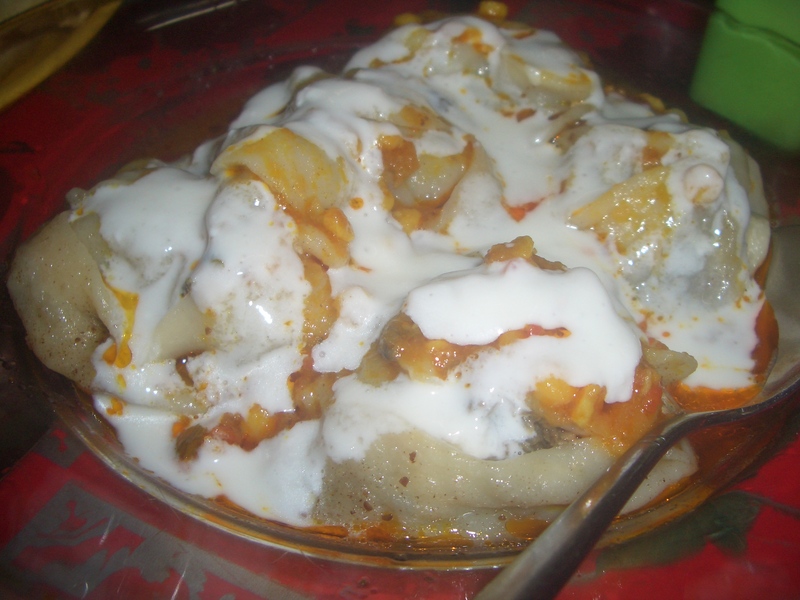 Various versions of Mantoo/ Manti/ Mantu exist across Turkish, Armenian, Azerbaijani, Kazakh, Kyrgyz, and Afghan cuisine as well. The Afghani version of Mantu is a steamed dumpling with a filling of minced beef/ lamb cooked in spices and onions and served yoghut and topped with yellow split peas based sauce cooked with onions and tomatoes and finally finished with some dried crushed mint. 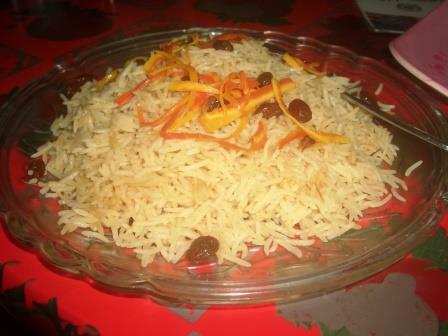 Apart from Mantoo, you can try out Shurba and Paloo ( a rice based dish served with lentil cooked with mutton chunks). I am definintely gearing up to go back to have a plateful of Mantu ! 2nd Floor Sharif Manzil, Dil Araam Market, Ballimaran, Delhi-6. 1 Kunika. 2011. “Djinns of Feroz Shah Kotla: Discovering Kotla” in http://nomadicrider.com/2011/01/djinns-of-feroz-shah-kotla-discovering-delhi/; Accessed on 22 November 2013. 2 Rahul Verma. 2008. “Kabuliwallah! Once more”. The Hindu 7 January 2008.http://www.thehindu.com/todays-paper/tp-features/tp-metroplus/kabuliwallah-once-more/article1405768.ece; Accessed on 22 November 2013. 3 For details see http://travelafghanistan.hubpages.com/hub/Mantu-Recipe-Afghan-Beef-Dumplings; Accessed on 22 November 2013. Happy cooking and happy eating ! The lane of Paranthas tucked away at walking distance from the Chandni Chowk metro station has always fascinated me ever since I stepped my feet in Delhi some ten years back. 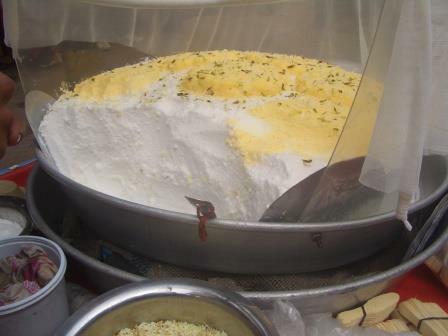 As a student of North Campus, Delhi University the food ritual trips to Old Delhi was not uncommon. My tryst with Parantha Wali Galli began in one such food trips when my roommate had to shop some chiffon sareers from by-lanes in Chandni Chowk. Considering she was a Jalebi lover I bribed her with a plateful of jalebi from Jaleba and made her promise to accompany me to Paratha Wali Gali. It was late in the evening and the lane is dotted with the aroma of Ghee and various Paratha flavours coming out of the three shops of the twenty shops that existed at one point. I remember trying out the Papad ka Paratha and falling in love with the vegetable curry prepared of humble pumpkins in Pandit Gaya Prasad Shiv Charan Shop which was established way back in 1872. 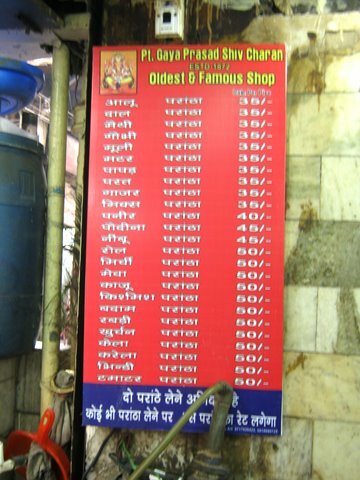 I have visited this shop since 2000 and as of 2012 you can find almost 25 kinds of Paranthas in this shop. My last trip was with a group of friends from Kolkata who braved Holi to take a tour of the Parantha Wali Galli. As soon as I entered the lane, the man who served me three years back from Pandit Gaya Prasad Shiv Charan’s shop walked up to me and greeted me with a smile. He asked, “Papad ka paratha mein time lage ga” ( It will take some time to prepare Papad ka Paratha). My friends and I were left speechless. They asked me if I came here frequently. I was touched that the cook remembered me even after three full years. If you want to savour a parantha breakfast in Delhi step out to this thriving Parantha Lane of Chandni Chowk and try it out. I have posted some links from fellow bloggers who have visited this lane and you can pick up your favourite pick. K.R.N. Swamy. 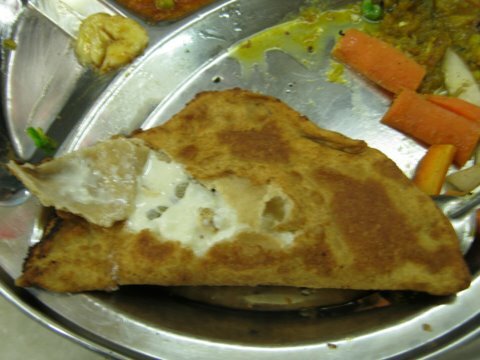 “Frozen paranthas posing a challenge to Paranthewali Gali fare”, 10 November 2002, The Tribunehttp://www.tribuneindia.com/2002/20021110/spectrum/eat.htm; Accessed on 28 August 2012.